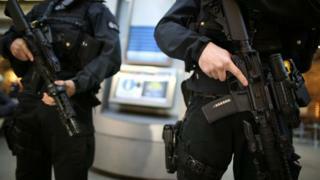 Britain faces a level of terror threat not seen since the IRA bombings of the 1970s, according to a new watchdog. Max Hill QC, the independent reviewer of terrorism laws, told the Sunday Telegraph that Islamist extremists were targeting UK cities. He credited the effectiveness of the intelligence services in limiting the level of threat to Britain. Home Secretary Amber Rudd told ITV's Peston on Sunday that defending the UK was her "main priority". Ms Rudd said she agreed with Mr Hill's assessment of the current terror threat facing the UK, adding that ensuring a country is well-defended is "the most important job a home secretary does". Mr Hill also pledged to review anti-terror measures over concerns about any infringements of freedom. Mr Hill, who successfully prosecuted the failed 21/7 bombers and the killers of Damilola Taylor, said the so-called Islamic State was planning "indiscriminate attacks on innocent civilians of whatever race or colour" in UK cities, close to the scale of Provisional IRA attacks of the 1970s. Speaking in his first interview since being appointed to his watchdog role, he said there were distinctions in the "mindset" of the IRA 40 years ago and those under IS now. But he added: "I think the intensity and the potential frequency of serious plot planning... represents an enormous ongoing risk that none of us can ignore. "So I think that there is undoubtedly significant ongoing risk which is at least as great as the threat to London in the 1970s when the IRA were active on the mainland." He highlighted the numbers of British people travelling to Iraq and Syria to fight for IS. "It's an enormous concern that large numbers - we know this means at least hundreds of British citizens who have left this country in order to fight - are now returning or may be about to return". In his interview, he defended ministers over compensation to ex-Guantanamo Bay detainee Jamal al-Harith, who later carried out a suicide bomb attack in Iraq. 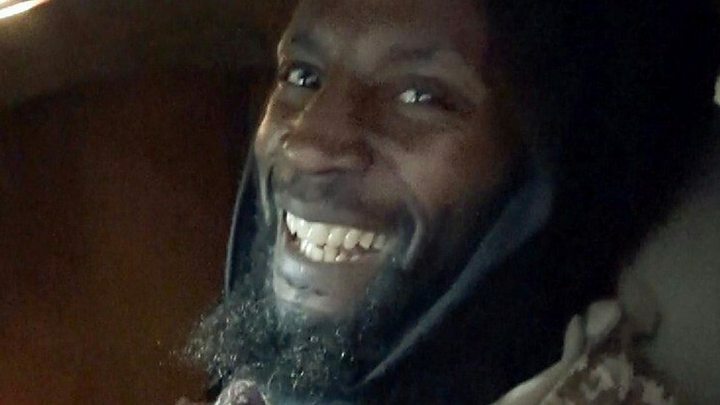 Mr Hill said ministers who approved a reported £1m of compensation for al-Harith - a 50-year-old from Manchester formerly known as Ronald Fiddler - could not have known the man would later join IS. Earlier this month, IS said al-Harith - who was sent to Guantanamo Bay in 2002 - detonated a car bomb at an Iraqi army base in Tal Gaysum, south-west of Mosul. Al-Harith's family denied he received that sum, saying it was a group settlement split between him and three others. "[Ministers] are to be called to account if in error taxpayers' money is paid to an individual who actually represents a significant risk to our national security through terrorist activity here or abroad," said Mr Hill. "But they cannot be held to account for a risk that was simply not present, not visible, not detectable at the time of the payout."